The 3502NCP, a 2-dog system, labeled the Super-X because of the X-tra features, X-ceptional range and is designed for X-treme training situations! 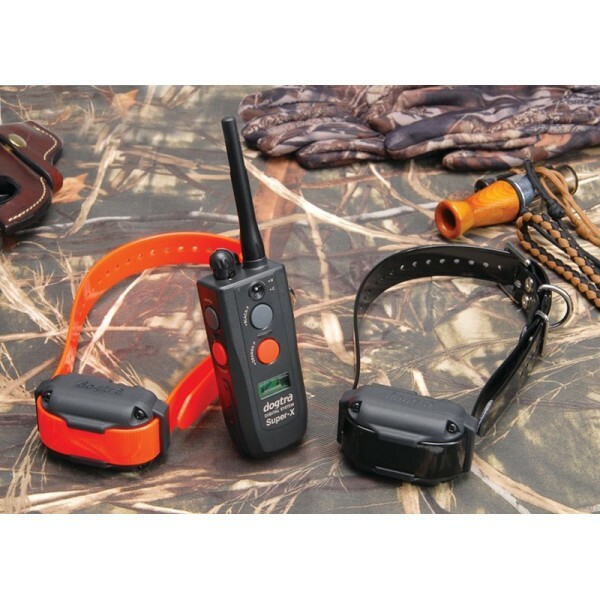 It also features a 1-mile range, 2-hour rapid charge batteries, fully waterproof Receiver and Transmitter. 2 Receivers (5/8"contact points, which are standard) Please add comments if you'd like a different size.